In his homily at Mass on Thursday morning in the Casa Santa Marta, Pope Francis reflects on the power of prayer, starting with the dialogue between God and Moses. “Courage and patience”, according to Pope Francis, are the two linchpins of prayer, which must be raised up to God “in freedom, like children”. 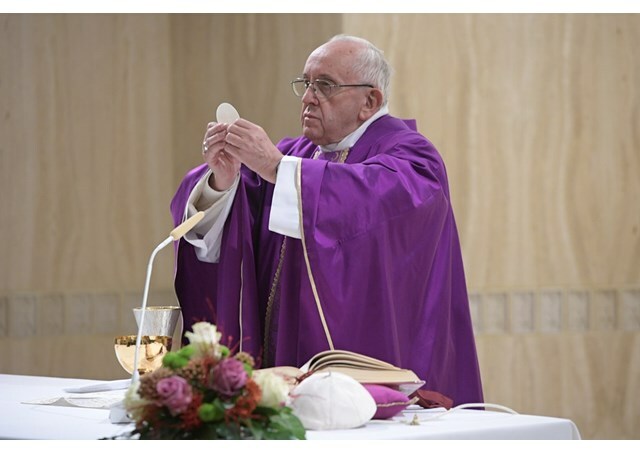 The Holy Father made the comments in his homily at Mass in the Casa Santa Marta on Thursday. He took as his starting point the first reading from the Book of Exodus, which tells of the conversation between the Lord and Moses regarding the apostasy of God’s people. In daily life, the Holy Father said, unfortunately there are many cases of managers ready to sacrifice an organization in order to save their own interests and to make a profit. But Moses refused to go off on a “tangent”; he is with the people and fights for them. Scripture, Pope Francis said, is full of good examples of constancy and the capacity to be patient, such as the Canaanite woman and the blind Bartimaeus of Jericho. Finally, Pope Francis pointed out the “path of intercessory prayer”. He said it means being concerned for others and willing to fight, strive, and fast for them.